Fantagraphics debuted the first volume of the Don Rosa Library, The Son of the Sun, in 2014. Since then, they have released two volumes each year. In November 2018, the tenth and final volume, The Old Castle’s Other Secret, will be released. The library will contain the complete chronological collection of all of his Uncle Scrooge and Donald Duck stories. There were a total of 88 stories by Don between 1987 and 2006. Don Rosa Library Vol. 5 is 196 pages, and it includes stories published between 1993 and 1994. Vol. 5 was released on June 6th, 2016. The majority of the pages are the stories, but there are also some supplement sections with a biography about Don’s life as well as behind the scenes pictures and stories about each and every story that is included in this edition. We also get treated to covers that Don drew for other duck comics. It is like bonus features on a blu-ray, and it is full of great and interesting information. I am glad that it is included in this volume and every volume of the Don Rosa Library. Don Rosa Library Vol. 5 is available in hardcover and Kindle versions. It is also included in a two pack that includes both Don Rosa Library Vol. 5 and Vol. 6. A link to buy this book can be found at the end of this review. Five of the seven stories in this volume make up the final chapters of the Life and Times of Scrooge McDuck. Guardians of the Lost Library and From Duckburg to Lillehammer are the two stories that are not a part of the Life and Times of Scrooge McDuck. The King of the Klondike could be considered one of the greatest Scrooge McDuck stories ever told. This story is the climax of the Life and Times of Scrooge McDuck. All of the previous stories have been building up to this story which tells how Scrooge McDuck finally found the gold and fortune that he has always been searching for. Fan favorite Goldie O’ Gilt also makes an appearance, and you can see her first meeting with Scrooge. The next story in this volume is Guardians of the Lost Library. This story gives the reader a break between chapters from the Life and Times of Scrooge McDuck. I could see how readers may be confused by a break in the greatest duck story ever told, but Fantagraphics’ goal was to deliver all of the Don Rosa stories in chronological order and I am glad that they did just that. This story is an adventure story with Scrooge McDuck and the nephews on a search for the lost Library of Alexandria. This story had a National Treasure feel to it with solving different mysteries and clues to get closer to the truth of where the books are hidden with ever destination they visit. Like most Don Rosa stories, the details from Don’s historical research make this a very enjoyable and smart journey. In The Billionaire of Dismal Downs, we see more of Scrooge finding gold and making excellent business decisions in White Agony before heading home to Scotland to visit with his family. In Scotland, we see where Scrooge finds his classic red suit. Scrooge competes in the Highland Games to prove to everyone how Scottish he can be. By the end of the story he is heading back to America with his two sisters, Matilda and Hortense. With From Duckburg to Lillehammer, we get another short break in the Scrooge McDuck story with a Donald Duck story to promote the Winter Olympics. This is a Donald Duck vs. Gladstone contest for a shot at representing Duckburg in the opening ceremony exhibition event at the Winter Olympics. When Donald Duck goes up against Gladstone, the readers are the real winners. You will have to read this one to find out who wins the competition. In The Invader of Fort Duckburg, Scrooge and his sisters arrive in their new home Duckburg. Hortense meets the love of her life in Quackmore Duck. Scrooge’s dream of a Money Bin becomes a reality, but not before the Beagle Boys try to rob him of all of his money. Scrooge not only has to fight off the Beagle Boys, but he also finds himself in a war with the President of the United States. It is a good thing they are friends. We are then treated to one of the most famous picture that Don has ever created, the Duck Family Tree. The tree shows how all of the Disney Ducks are related from Clan McDuck family to the Duck family to the Coot Kin family. This is a great resource as you can quickly look up that Gladstone is Donald’s cousin because Gladstone is the son of Daphne Duck who is Donald Duck’s dad Quackmore’s sister. Scrooge’s grandmother’s name is Molly Mallard. I met Don Rosa at a local convention, and this is the print that I wanted most from him. The Empire-Builder from Calisota tells the story about how Scrooge had family and money, and then in the end he only has money. He is gone from Duckburg for several decades building up his fortune to become the richest duck in the world. The Life and Times of Scrooge McDuck concludes with the story The Richest Duck in the World. Quite some time has passed since the last chapter. Donald and the nephews come to visit Scrooge McDuck on Christmas. They know nothing of their uncle. Donald does not believe that Scrooge has any money left so Scrooge takes him on a tour of the Money Bin. The Beagle Boys dressed as Santas Follow them and attempt to rob them. At this time in Scrooge McDuck’s life, he is a very old Duck and acts it; however, being around his family brings him quickly rejuvenated him. He becomes his old self again and takes down the Beagle Boys with the help of his family. Thus concludes the greatest serialized story in comic history, The Life and Times of Scrooge McDuck. This is a solid volume of Don Rosa stories that completes the Life and Times of Scrooge McDuck saga that started in Vol. 4 of the Don Rosa Library. You also get Guardians of the Lost Library and From Duckburg to Lillehammer. The King of the Klondike is my favorite Don Rosa story that I have read so far. It is comparable to reading the story of the defining moment when Tony Stark became Iron Man or Peter Parker became Spider-man. The behind the scenes section details how Don Rosa put together all of his Barksian facts to build the story of Scrooge’s life. It is a very interesting read. I love looking at the Duck Family Tree to see how all of the Disney Ducks are connected. The Life and Times of Scrooge McDuck has been long out of print, and the book sells on the secondary market for a lot higher price. We are lucky that Fantagraphics has the stories that make up the Life and Times of Scrooge McDuck in vol 4 and 5 of the Don Rosa Library. Fantagraphics will be re-releasing the 12 part story of the Life and Times of Scrooge McDuck in one volume in February 2019. It would take a lot of time and money to compile a comic collection that included all of these stories. Anything that takes a lot of time and money would not be approved by Scrooge McDuck. The bonus content on Don Rosa’s life and the behind the scene content on each story really completes this volume for a comprehensive experience. 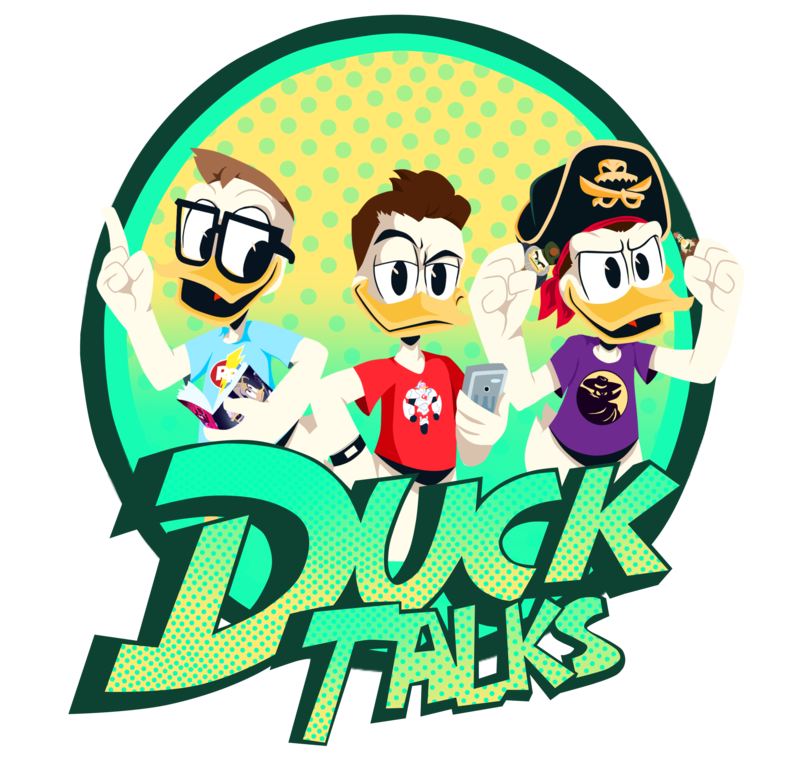 Next DuckTalks Episode #042 – Just My Bill!